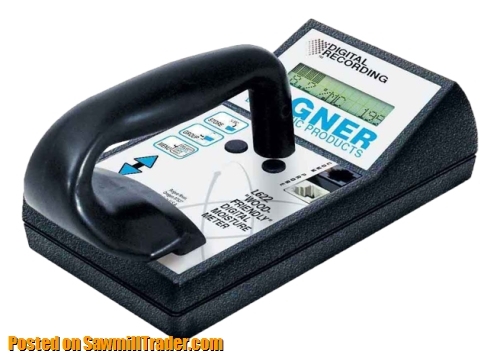 All Wagner moisture meters have the unique ability to truly read the moisture in the wood, not on the wood, and the measurements are not adversely affected by the presence of absorbed moisture in the lumber surface. The L622 comes from the factory with 32 user-selectable species settings by name, and these can be customized by you. When paired with the companion L722 stack probe accessory, you can easily check the moisture content of kiln packages, and with our Stat Pak software included with this meter, it is easy to record your results for future comparison. Send reports directly to a printer, or data to the computer for advanced analysis. The easy-to-read backlit LCD screen features a two-line, 32-character display. Function buttons and scroll arrows operate a menu system that guides the user step by step through the selecting, storing, and reporting process.